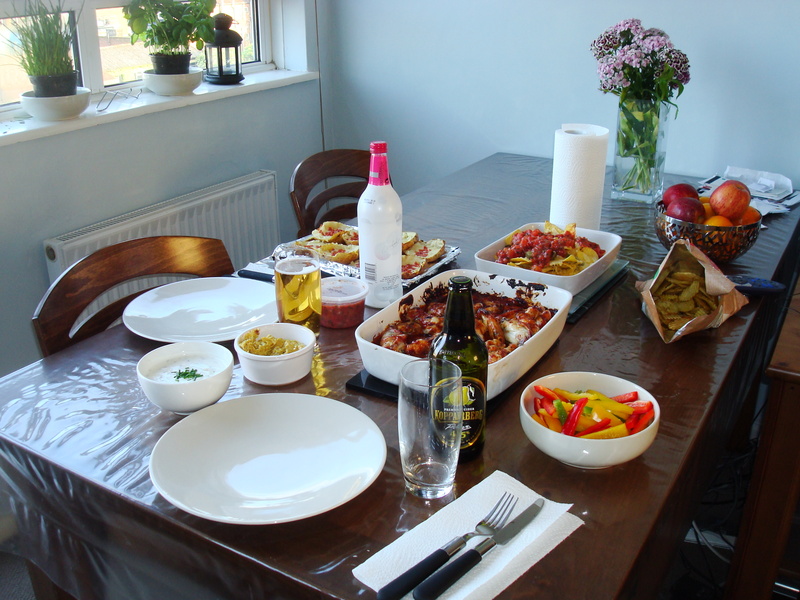 The table is laid with all sorts of party food goodies (both healthy and not) and the booze is a-flowin’. The tv is on and ready to go. And it’s England 1 USA 0. Boo.. And Howard is hurt–crap. Come on, Team USA, pull one out against those slimey limeys. You lucky , lucky yanks !!! Nice dinner party though !